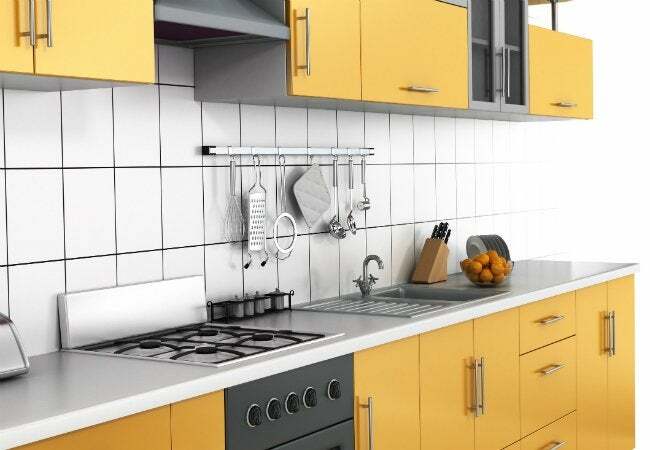 Every homeowner should keep a few different types of adhesive on hand to tackle all those little broken things that are part of everyday life. To make sure your home is properly stocked, read through our rundown of the best glues to use on wood, glass, tile, and more! If you’re confused by the wide array of options in the adhesives aisle at your local hardware store, you’re not alone. Many find themselves flummoxed by the collection of glues, cements, and epoxies. It’s wise to be a little cautious before buying: No single type of glue is right for all jobs, and using the wrong one can turn your project into a sticky mess. Here, a fool-proof guide to choosing the right glue for every repair! Because it’s nonporous, damaged glass can be tricky to glue back together. Any repair larger than a small chip, which you can fix with a drop of superglue, requires a high-quality clear epoxy. Look for “crystal clear” on the label so you don’t end up with repair seams that yellow over time. Pro Tip: For the best bond, first use degreaser to clean the surfaces of the glass, and then sand the edges slightly to roughen them. Apply glue sparingly to avoid oozing. 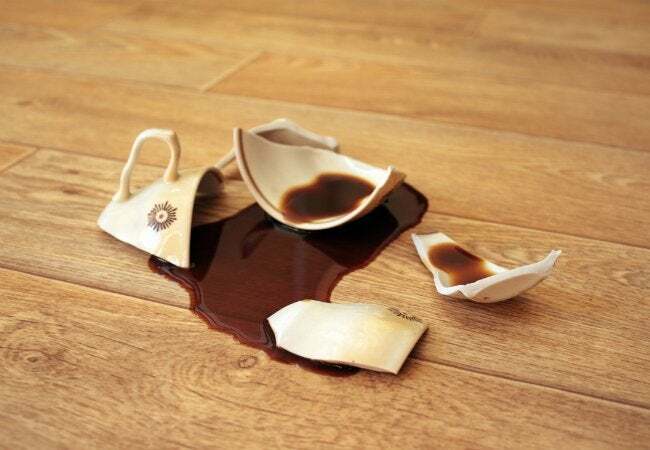 Whether you’ve knocked the handle off your favorite coffee mug or you’re trying to reassemble grandma’s treasured vase, for the best results, use a fast-cure two-part epoxy. Pro Tip: A toothpick works well for applying epoxy to thin edges. If you accidentally get some on the surface of your item, wait until the adhesive hardens completely, then carefully scrape the excess away with a razor blade. Loose tiles are often the result of the installer’s having used too little adhesive. If a wall tile comes loose, you’ll want to match the original adhesive in order to reattach it. Take a close look. If the adhesive looks like dried glue, use mastic; if it looks like cement, premixed thinset is the best choice. Pro Tip: Chip away old grout from around the tile you’re reattaching, and use tile spacers for the most exact and consistent alignment. Wait until the new adhesive cures completely before regrouting. 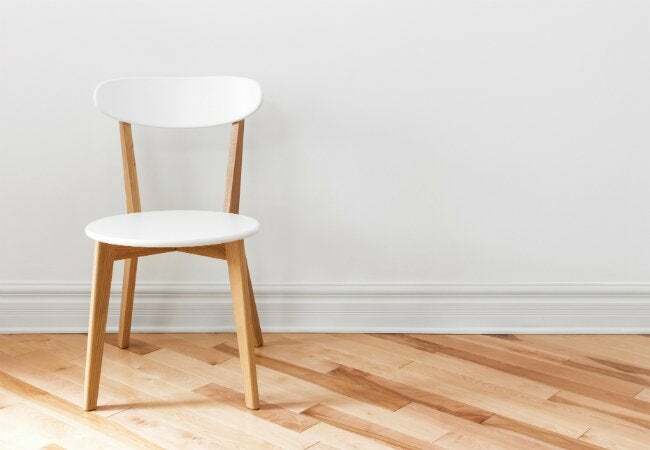 There’s one in every home: a stool so rickety that no one dares sit on it, or a picture frame that gapes at all four corners. Wood glue—the yellow brother of school glue—is inexpensive and offers a tight bond. Standard wood glue is for interior repairs; look for “exterior” on the label if you’re repairing patio furniture or a loose porch railing. Pro Tip: Wood glue cures slowly, so use clamps or weights to hold the pieces together until the glue sets. For regluing loose leather on trunks, lamps, or briefcases, choose a high-quality all-purpose cement. It’s typically sold in a metal can with a brush attached to the inside of the lid. Make sure that the label states that the cement is suitable for use on both leather and the material you’re attaching the leather to, such as wood or metal. Pro Tip: As with all contact-type cements, wait until the adhesive dries to a tacky state before pressing the surfaces together. End caps on laminate countertops are notorious for working loose and then catching on your clothing every time you walk by. If the particleboard backer beneath the laminate is in good shape, you can reattach the laminate with contact cement. Pro Tip: After applying a thin, even coating to both surfaces, wait until the cement is tacky but not wet before pressing the pieces together. 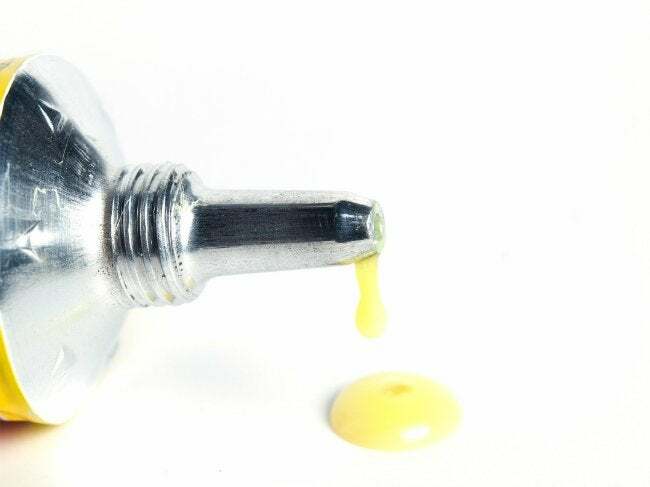 Relatively new to the world of adhesives, polyurethane glue is a rising star, and no home or workshop should be without a bottle. Sold under various names, polyurethane glue expands slightly as it cures and forms a strong bond on many materials, including metal, masonry, fiberglass, and rubber. Pro Tip: To avoid oozing, use a little less polyurethane glue than you think you need. Clamping is necessary until the glue cures completely.